UCSA is hosting Lesley Elliot as a guest speaker in the lead-up to the launch of Thursdays in Black. Lesley is the mother of Sophie Elliot from Dunedin who was murdered by her boyfriend in 2008. Lesley now runs a foundation and talks to youth about healthy relationships, empowerment, and consent. 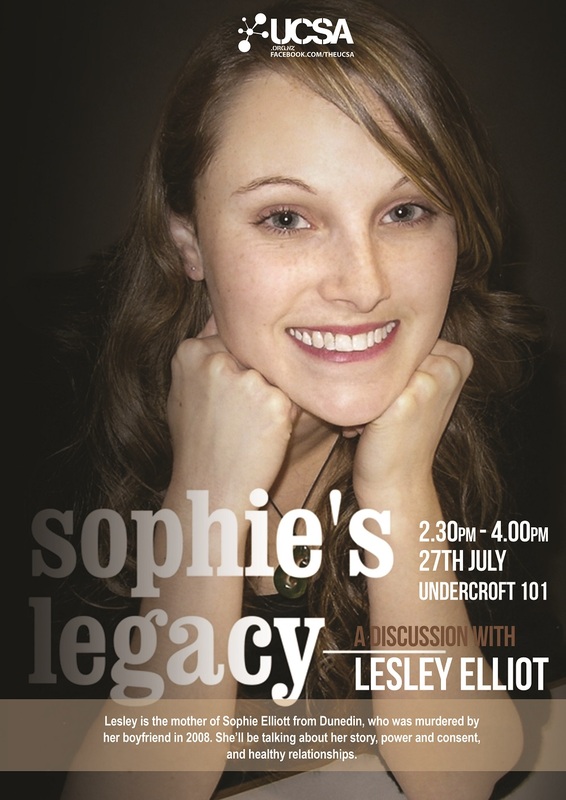 If you would like to hear more about her story come along to Undercroft 101 at 2:30pm on Thursday 27 July. Tea and Coffee will be provided, as well as support from the UC Health Centre.